Thomas Gold solidifies his standing as a live performance powerhouse. 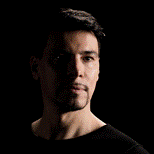 Thomas Gold is a DJ with a knack for knowing just when and how to deliver his knockout punch. Internationally recognized, Berlin-based DJ and producer, Thomas Gold, announces his “On Fire” tour of the U.S. The tour kicks-off March 3rd and runs through the end of April, hitting the leading electronic dance music venues in the U.S.
As Gold embarks on his latest solo tour of the U.S., he reminds audiences that he is an entertainer first-and-foremost. On this tour, Gold brings cutting-edge support acts including Rico & Miella, Helena Legend and Tom Staar with him and often adds each venue’s best and most proven local residents for additional performance support. As a special treat for club-goers, Rico & Miella, the vocalists featured on Gold’s next single, “On Fire” for release on March 15th, will perform live vocals on the On Fire tour, adding another musical element to the shows. Thomas Gold knows today’s dance music fans are sophisticated and he’s earned his die-hard fans across the U.S. For this tour, he will bring the latest, one-of-a-kind visuals that add yet another dimension to the On Fire tour and make each performance an experience to be remembered and talked about long after the house lights go on. Having DJ’d at every imaginable festival – including Electric Daisy Carnival, Ultra Music Festival, Coachella, Mysteryland and TomorrowLand – Gold knows how to work vast crowds where strict time allotments can create unique artistic challenges for any DJ. Gold has honed his live DJ’ing skills to a tee and he has a knack for knowing just when and how to deliver his knockout punch. Also a veteran of the nightclub circuit, Gold has DJ’d at venues including New York’s storied Roseland Ballroom, Miami’s LIV and Story, as well as top clubs in Las Vegas and Ibiza and throughout the Continent of Asia. 10 March Soundcheck, Washington D.C.
For more information on Thomas Gold, Armin van Buuren, Andrew Rayel, Giuseppe Ottaviani, Sylvia Tosun, MaRLo and much more, contact EMILY TAN Media Relations (U.S.), +1(917) 318-3758, EmilyEmilyTan(at)aol(dot)com. Visit http://www.thomas-gold.com. Follow EMILY TAN Media Relations on Twitter @EmilyEmilyTan.